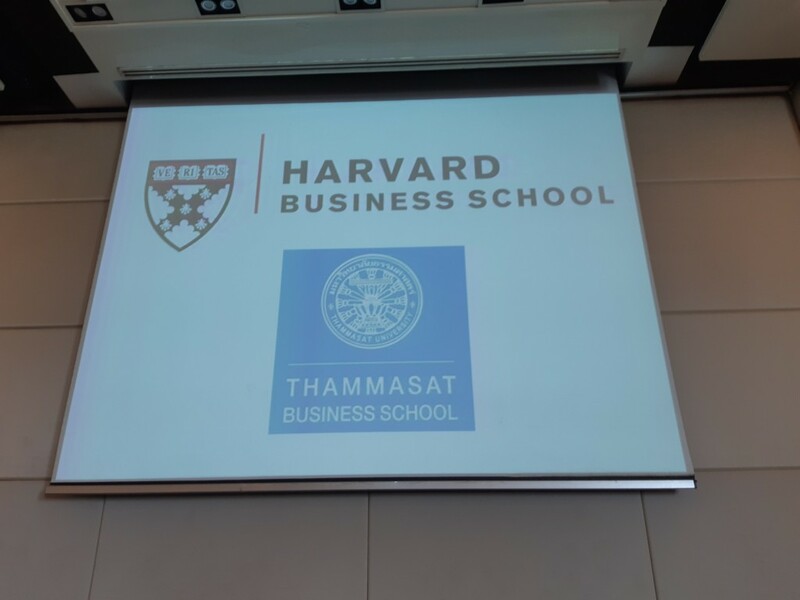 Thammasat Business School (TBS) students take part in Harvard Business School’s (HBS) Field Global Initiative this year. Before presenting their final ideas to corporate partners, HBS students share their ideas with TBS students to refine them further. Discussing on future collaboration with representatives from France, Philippines. On May 16, 2018 Ms.Kanokporn Banreangsri - CIA’s manager, along with our officers, Ms.Phatsaporn Suwannakart, Ms.Lalita Damrongkunkamjorn, Mr.Quang Tran Dang (Martin) gave a warm welcome to our precious guests. To begin with representatives from Philippines’ De La Salle University, Dr.Harvey T. Ong (Chairperson), Maria Victoria P.Tibon (Chair, Management and Organization Department),Cynthia P.Cudia,Ph.D.,CPA (Chair and Associate Professor, Accountancy Department), and Luz Suplico Jeong (Associate Professor of Marketing and Advertising Department). They also discussed on future collaboration. 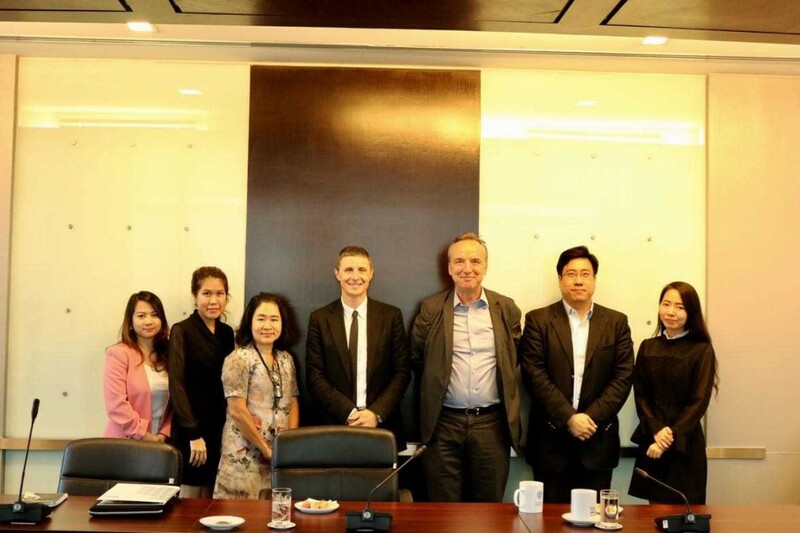 In the late afternoon, we discussed on a future collaboration with the representative of France’s Ecole des Ponts Business School, Martin Calnan (Director, Executive Education), Myinmo Zaw (Project Director), Raphael Goue (General Manager) and Achara Jesdaviriya (Business Analyst). 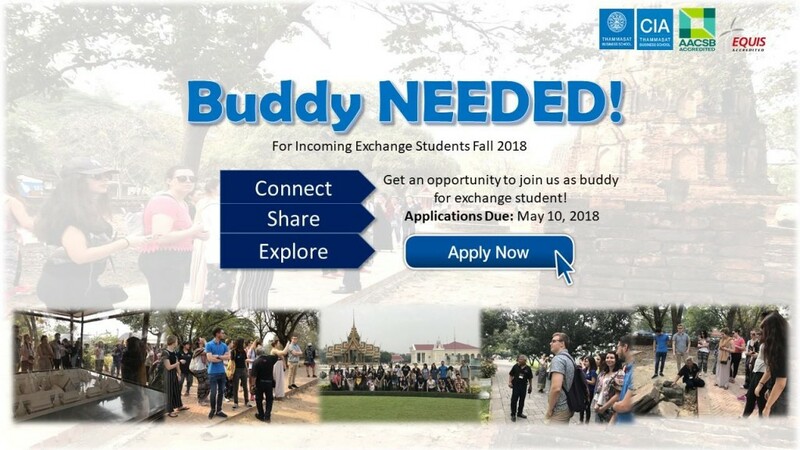 The International Summer University Thailand, held in cooperation with Thammasat Business School, Bangkok, Thailand, aims to provide students with an in-depth understanding of international marketing challenges in a globalized landscape. Particular emphasis will be placed on marketing idiosyncrasies in emerging markets and the role of culture in international marketing. Thammasat University offers full or partial scholarship to foreign students with outstanding performance who have been admitted to study in undergraduate and postgraduate levels as degree international students at Thammasat Business School in the academic year 2016. Assoc.Prof.Dr. Pipop Udorn, Dean, and Asst.Prof.Dr. Surat Teerakapibal, Associate Dean for International Affairs attended “Welcome Dinner of 4th ICAMA conference in Bangkok 2018” on April 20th at Royal Orchid Sheraton Hotel.